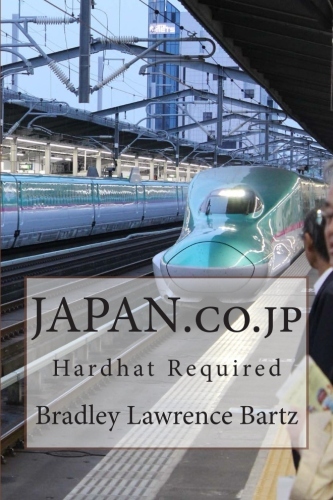 Japan.co.jp: Hardhat Required - Available on Amazon -- This JPRS .co.jp Domain Name Dispute is Detailed. 280 of my favorite photos of Japan. Only $9.99 in paperback and $5.00 on Kindle. Available on Create Space Buy Here! Available on Amazon.com Buy JAPAN.co.jp Today! Available on Kindle too! Check it out! Available on Kindle Japan. Koko da yo! "International entrepreneurship is a tough and nasty game! You learn it by getting kicked in the teeth, by failing, by jumping back in, building on your goofs, and winning in the end!!!!!!!!! This is a great book, written in an unorthodox, fascinating style that will give the novice beginner to the game a real insight into how the game is played - like it or not!!!!! Read it! Seek out, contemplate, then massage the lessons taught, in your mind! Bury your mind in this book and you will find tons of action oriented take-away learning points that will save you tons of grief, money and time!!!!!!!!!!! The truth about the game is in this book!!! Part of the fun of the book is the reading and discovering the lessons!!!" Tokyo, Japan -- Fresh out of college, Bradley Bartz landed in Japan in 1989, just in time. Sure, the country's breathtaking economic bubble was bursting before his eyes. But that didn't matter. Bartz arrived just in time to set up an information technology business placed perfectly to catch the Internet wave. Hurtling straight down the wave's massive face, Bartz “shot the tube,” building a business that became the toast of Tokyo's new Internet cognoscenti, then gloriously wiped out in a furious wall of white water. Japan.co.jp tells the tale of Bartz's wild ride and how he pulled out of the white water to surf another day as an entrepreneur. Bartz's account is part of Japan's business history revealed in detail for the first time. “JAPAN.co.jp takes you inside the founding of several businesses in a foreign country where a recent college graduate from America is heralded either as a brilliant, scrappy entrepreneur, or damned as a rude, outsider upstart who doesn't play by the rules -- depending on which board room he's in and which day of the week it is," said Bartz. Bartz's business team raised more than $10 million from a hedge fund for the businesses from an Internet Service Provider to a web design boutique, magazine publisher, technology/science newswire and free e-mail service offering more than 100 unique Japanese domain names. Foreign investors, Japanese bureaucrats, loyal and disloyal business partners and industry rivals emerge as colorful characters in a historical drama-within-the-drama as Bartz retells parts of the story as imagined from the decks of Commodore Matthew Perry's famed Black Ships. As Seen in Times Square New York!